Have you ever wondered why Jesus could only walk on water? I mean walking really isnt’t that impressive. Jogging, maybe, but running…that’s where the money is. If Jesus could have run on water he really would have turned some heads. Imagine only being able to walk around a race track, not sooooo much of a race. 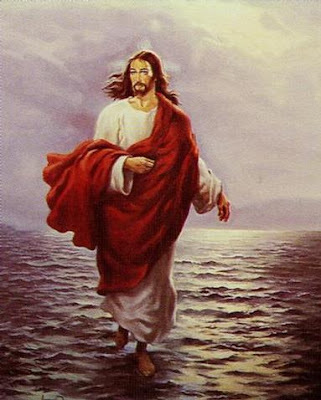 I mean if Jesus was all powerful and all knowing, I think he probably should have learned how to run on water.